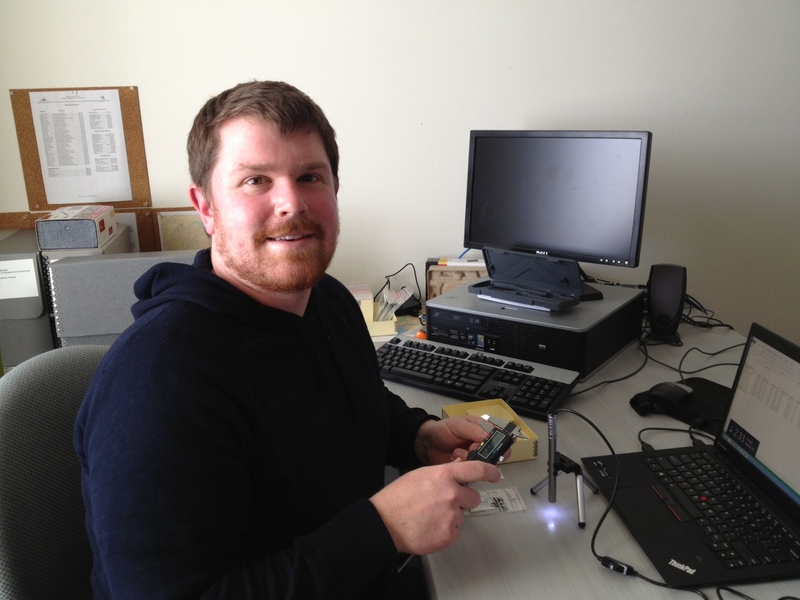 The Maryland Archaeological Conservation (MAC) Laboratory is pleased to announce they have selected Christopher Shephard as the recipient of the 2013 Gloria S. King Research Fellowship in Archaeology. Mr. Shephard is a PhD student in the Department of Anthropology at the College of William and Mary. He is researching the exchange of copper and shell objects among Algonquian societies of the late Woodland through early Colonial periods and the rise and transformation of chiefly authority across the southern Middle Atlantic. During his fellowship, Mr. Shephard will be studying several archaeological collections curated at the lab to look at questions related to the nature of competitive gift-giving and feasting in the negotiation of power and authority among the indigenous societies of the Tidewater. Chris will be working at the lab in March and April of this year. The MAC Lab is an archaeological research, conservation, and curation facility located at Jefferson Patterson Park & Museum, the State Museum of Archaeology, in southern Maryland. The MAC Lab serves as a clearinghouse for archaeological collections recovered from land-based and underwater projects conducted by State and Federal agencies and other researchers throughout Maryland and is currently home to 8 million artifacts representing over 12,000 years of human occupation in Maryland. All of these collections are available for research, education, and exhibit purposes to students, scholars, museum curators, and educators and the purpose of the fellowship is to encourage research in the collections. The fellowship was established in 2013 in honor of Gloria S. King. Gloria Shafer was born on January 6, 1931 in Baltimore, Maryland. She spent summers as a child on her family’s farm near Chestertown, Maryland and attended Washington College. In 1955, she and her husband, George M. King, started a small excavating construction business in Anne Arundel County. She had a lifelong interest in Maryland history and archaeology and contributed funds and services to individuals and organizations supporting this interest. Mrs. King died on May 31, 2004 and this fellowship in her memory recognizes her many contributions to the preservation of the past. The fellowship will be offered annually for the next four years and will potentially continue past 2017. Please direct any questions about the fellowship to Patricia Samford at psamford@mdp.state.md.us. This entry was posted in Archaeology, Artifacts, Happenings and tagged archaeology, artifact, collections, Maryland, student. Bookmark the permalink.